I think he might have some sort of vitamin deficiency. Second fox related post of the month for those keeping track. After a man left a grocery store, a fox stalked him and would not leave the man alone until he gave the fox some of his food. This was a fully grown man, by the way, weighing in at over 200 lbs. “Despite making attempts to escape, the fox persisted and carried out a sustained attack on the food he had just bought from Tesco. Everybody knows foxes love garlic bread. 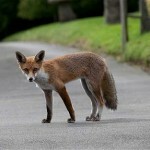 However, wildlife experts do not think you should give in and give food to foxes, but should try and frighten them away. Perhaps with a weapon of some kind? We recently covered the release of a reported image of Bigfoot captured by a trail cam and my subsequent research Google search on trail cam images led me down a rabbit-hole from which I am just now emerging. At times the Internet begins to tarnish around the edges, so I am happy to report that I have found some of the magic that makes it such a freakishly wonderful place. I have collected for our readers 21 of the best and strangest trail cam pictures the Internet has to offer. None of these are new, many of these you may have seen before, many of them are obviously staged or fake, but they are all lovingly collected here for you to enjoy in no particular order. Hit the jump for trail cam greatness! 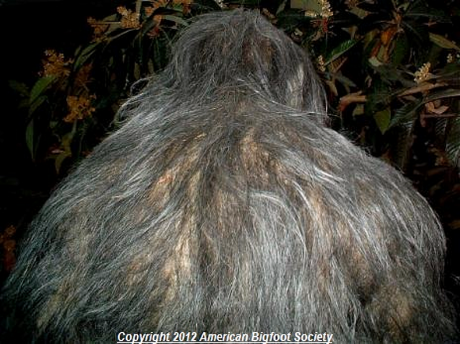 The American Bigfoot Society has released what is being called the “clearest photo since Patterson-Gimlin”. Taken in 2008, it has only just been released, you can read about all the details at the source. In 2002, scientists published the discovery of a new pterosaur from Inner Mongolia named Jeholopterus ninchengensis. The wingspan was less than three feet and it probably weighed between 5 and 10 lbs. In 2003, David Peters published The Chinese vampire and other overlooked pterosaur ptreasures in the Journal of Vertebrate Paleontology where he posited the physiological attributes of Jeholopterus made it a prime candidate for drinking blood from the backs of sauropods. “In this analysis, Peters reconstructed the skull, observing elongated teeth akin to like pliers, a fortified palate able Jeholopterus to deliver a swift blow and powerful blow, a possible mechanism by which the teeth could be locked into place after a strike. Additionally, Peters observed a horse-like tail possibly used to swat away small insects. Many paleontologists are not fans of this theory based on many reasons, but I think a vampire pterosaur would be awesome. I guess this means we can stop trying to clone them, right? Apparently, a marine mechanic was still working on the 52 ft Nilaya in Auckland when Jarle Andhøy and crew hurriedly cast off to avoid being served deportation papers. Andhøy, who has declared himself a “Viking“, and crew and bound for the Ross Sea without a permit and in defiance of both the New Zealand and Norwegian governments. Mr Andhoy told the Norwegian public broadcasting service NRK that the presence on board of the unnamed New Zealander was not part of his plan, but was the result of “a hectic departure” from Auckland last week. He said it was “a somewhat tricky situation” because the man did not have a passport or papers with him. But Mr Andhoy insisted: “Everything is on schedule and the atmosphere is good on board. The broadcaster reported him as saying that the Nilaya was not carrying a locator beacon so it would not put rescue services at risk. 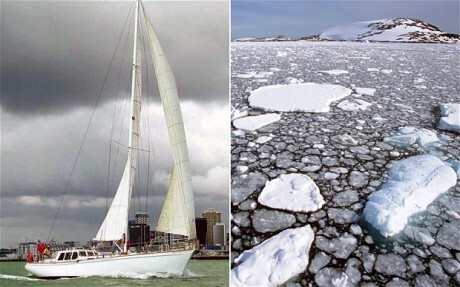 So, lets recap this if we can – A rogue Norwegian adventurer accidentally kidnaps an New Zealand mechanic on an unpermitted Antarctic expedition in search of his last sunken ship without the use of a rescue beacon. Somehow I do not think that this is the end of this story. If you don’t scare the children how will they learn? Shipwreck hunters have located an unusual object at the bottom of the Baltic Sea and will be heading out in May to find out what it really is. “While fictional characters in the Marvel Universe — the heroes at least — typically argue a position that says mutants and humans are not really different, and should be afforded the same rights, in the real world the company’s position is somewhat contrary. Georgia-Bigfoot-body-in-a-freezer hoaxer and the “best Bigfoot tracker in the world”, Rick Dyer claims he received permission from the Canadian government to kill a Bigfoot and bring it back to America. Dyer says his team has permission to hunt for anything that has not been discovered yet in the Great White North. “In redneck terms, it’s basically saying we have permission to bring firearms into Canada to hunt for Bigfoot,” said Dyer. I am 100% sure this will end well and won’t cause any problems at all. 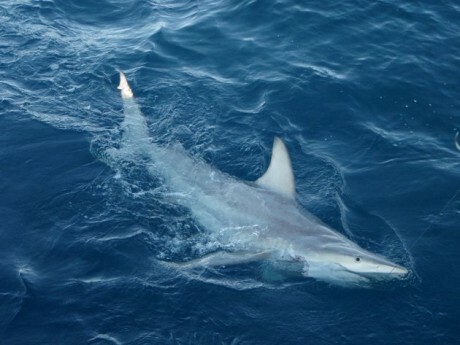 The world’s first hybrid shark was discovered off the coast of Australia containing both common and Australian black tip DNA, with up to 20% percent of the population sampled being hybrids. 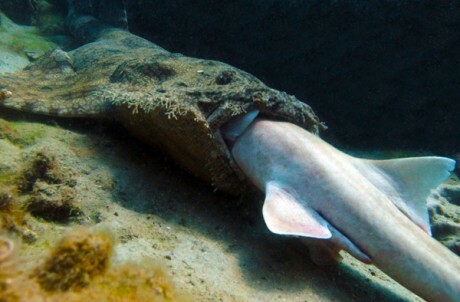 Scientist speculate that the hybridization increases the range that the sharks can survive and could be a result of changing sea temperatures. Once again the town of Beebe, Arkansas is cleaning up dead blackbirds around New Years and the police are banning fireworks. Rollerman has created a 31-wheeled suit of roller-blades, which he uses to go very, very fast. Click the play button to watch three minutes of insanity.